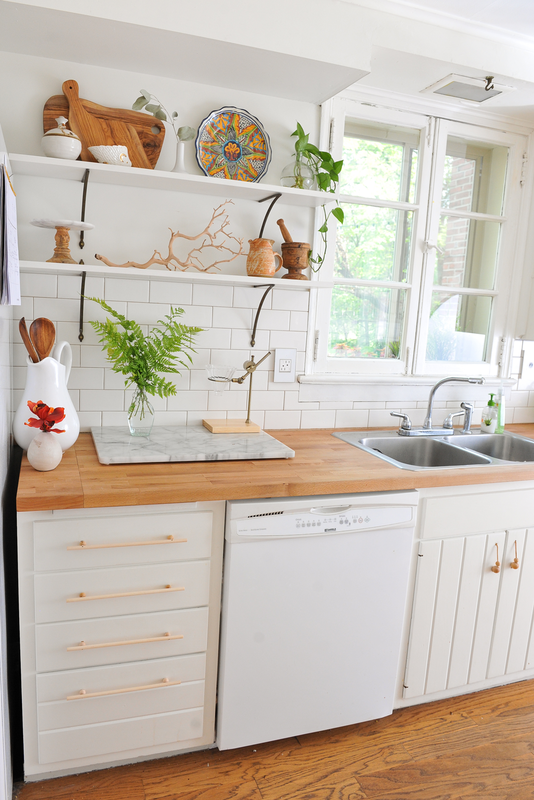 When we renovated our kitchen a few years ago, we DIY'ed these brass cabinet pulls and we LOVED (still do love) them. They have held up so beautifully over the years and withstood tough handling. 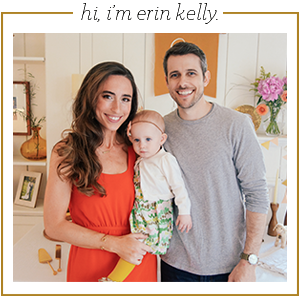 That said, as soon as Emerson started walking, I got really freaked out about the combination of the sharp edges of the brass hardware and our toddler's lack of walking skills. Every time she teetered in the kitchen, we would lunge to make sure her head didn't hit the hardware. 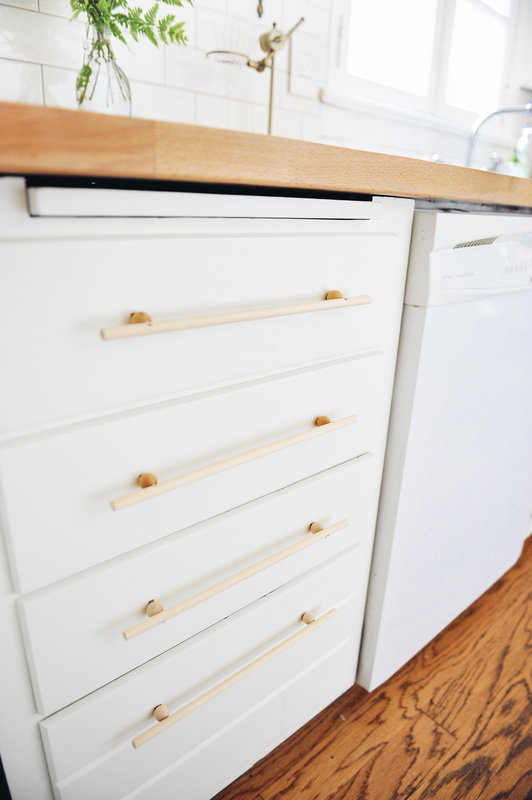 To bring peace of mind, I set out to find a really inexpensive solution to replace and baby-proof the hardware of our cabinets. 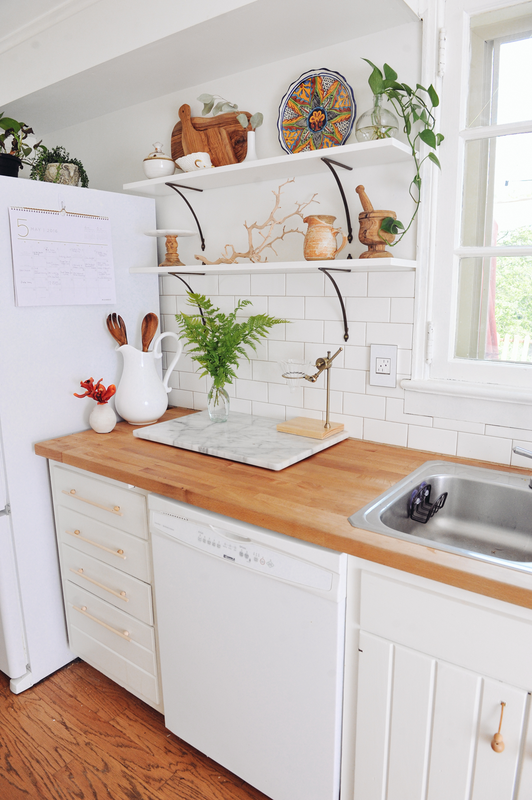 I'm always a fan of light wood on white cabinets and one of my all-time favorite kitchens uses oversized wood knobs in the best way ever, so I used this as an opportunity to switch up the style a bit. Despite having no plan, I really dig the way they turned out. I think they have a cool Japanese modern feel and are so much safer for little ones than the brass hardware. 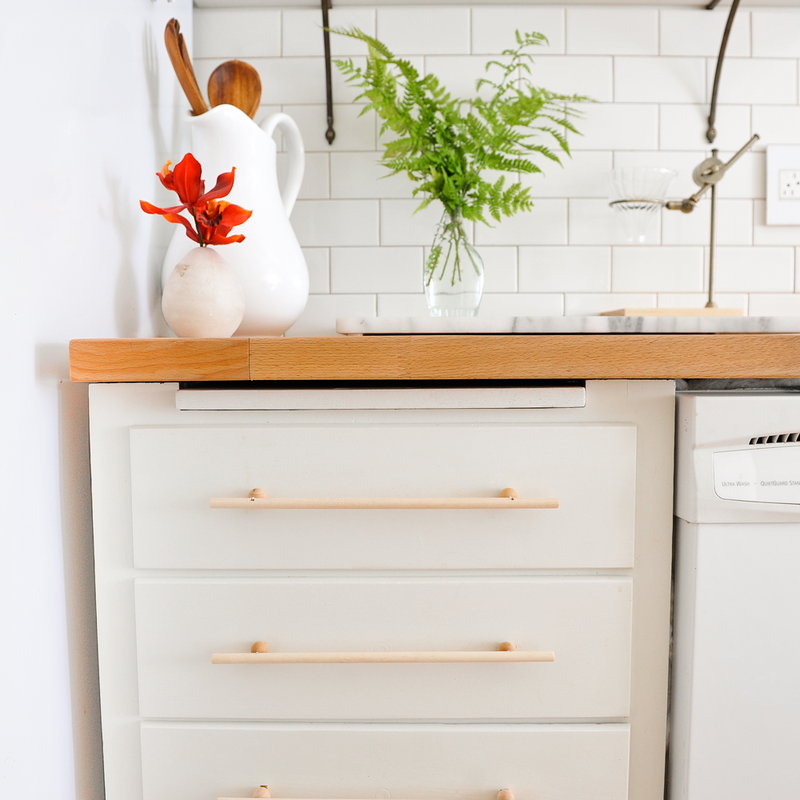 Click through to see the full DIY and directions below! Here's what I used to make the pulls. The drill is the only tool not included in the photo, but as far as materials go, this is it! So so simple and cheap. 01. Drill two small holes in the dowel rods. Sand the edges of the dowel with a fine grit sandpaper (400 is great). 02. 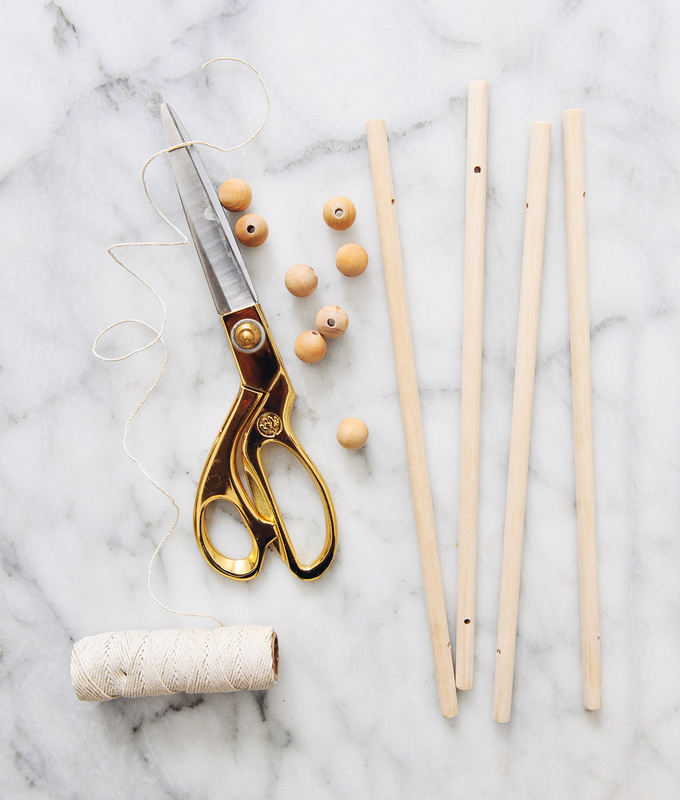 Cut two pieces of twine. I made my about 20" in length, but it can vary based on the length of your drawers. Just make sure you have enough when it's doubled for the two ends to tie together in the back. 03. 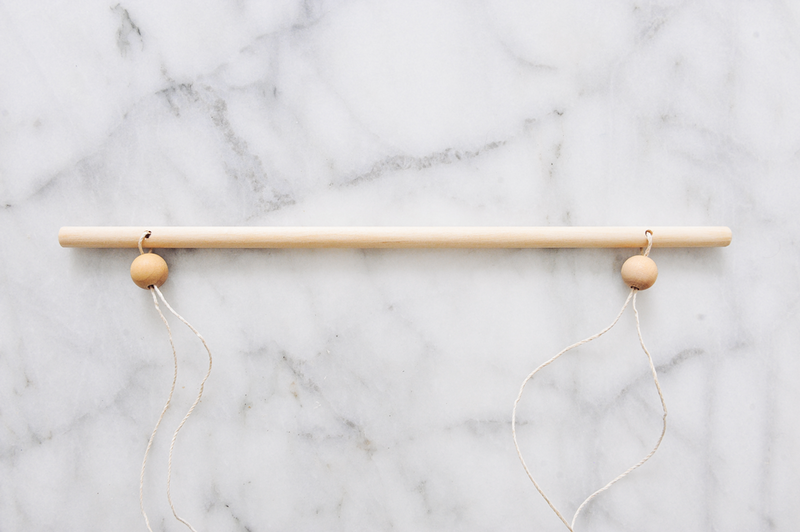 Loop the twine through the dowel rod and slide the wooden ball through. 04. 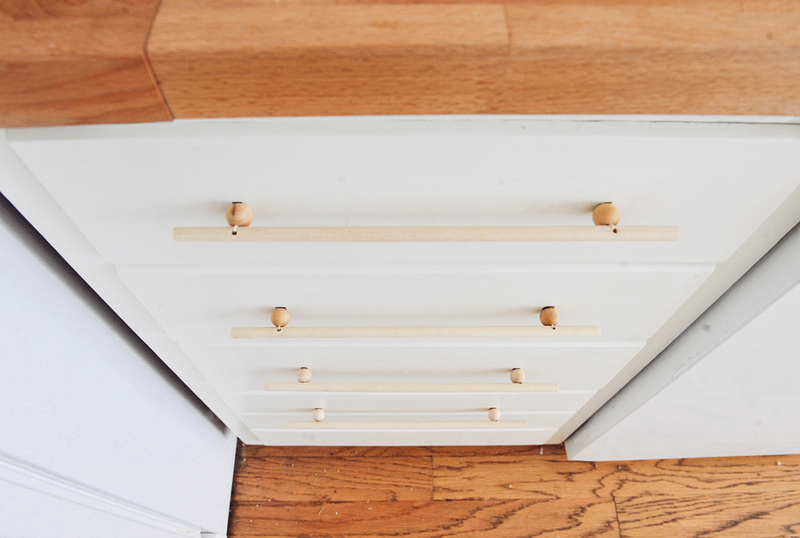 Insert the twice ends through the holes and meet them together in the back of the drawer. 05. Tie the ends as tightly together as you can. 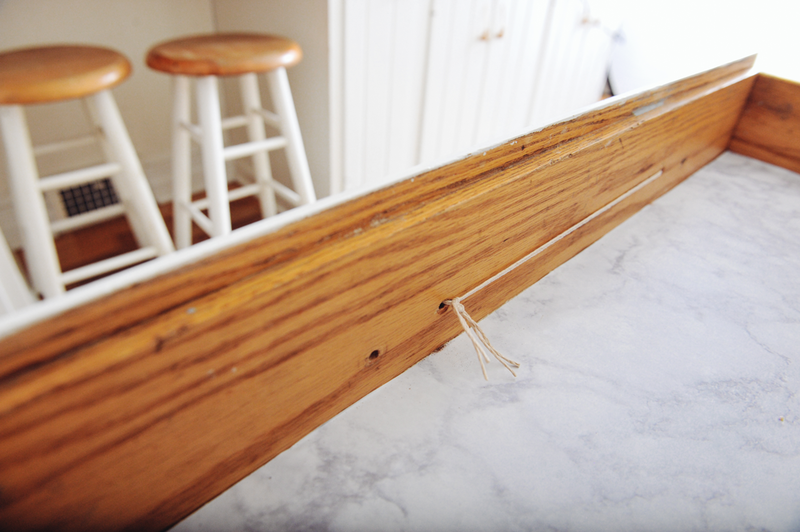 I found that if I tied the knot off to the side (as seen below) it made a tighter cabinet pull. 06. 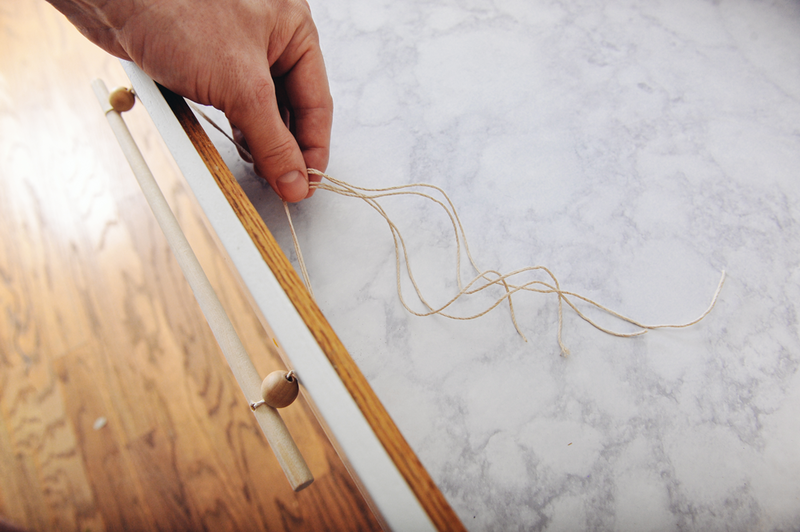 Once you have it attached as tightly as you can, trim the ends. 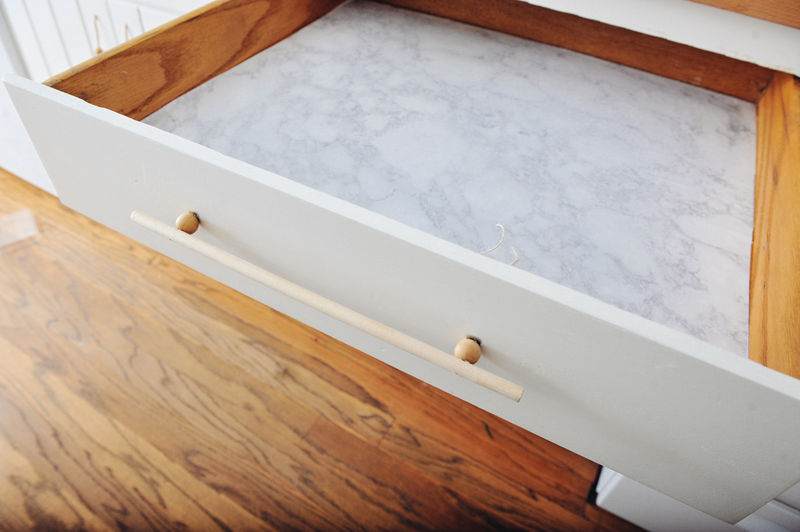 I left my drawer pulls unfinished because I like the look, but you can paint, stain, polyurethane or treat them with mineral oil for a different (and probably more durable) look. All photographs on this site are taken by me, unless otherwise noted. I'm happy for you to share my content for any non-commercial purpose but please make sure to link back to the original post and give credit. Conversely, should I feature an image of yours that you see incorrectly credited or would like taken down, just let me know and I’ll take care of it right away. Happy hunting! A New Bloom contains some contextual affiliate links. An affiliate link is a link in which advertisers agree to pay a commission should a purchase be made through that click-through. I don't post anything that I haven't, or wouldn't, purchase myself. copyright erin kelly 2014. Powered by Blogger.